We help you handle mortgage /loan underwriting process with the speed, efficiency and accuracy needed to remain agile in competitive landscape. Expert Mortgage Assistance is a premium provider of underwriting services for lenders. As one of the leading mortgage underwriting companies, we have worked with lenders of all shapes and sizes and have helped them meet their loan underwriting needs in different ways. By leveraging our services, our clients have been able to assess an applicant’s borrowing and payback capacity accurately and close loans faster. Loan underwriting is the last step in mortgage process where the borrower’s creditworthiness is scrutinized closely. However, with the changes in Consumer Financial Protection Bureau’s latest requirements, the underwriting standards have become more rigorous than ever. An underwriter has to perform thorough due diligence of the applicant’s file to ensure that the information is accurate and documentation reliable for smooth closing. Even though automation has been readily incorporated in mortgage underwriting process, underwriters are still required to investigate the applicant meticulously and determine their reimbursement capacity. For this purpose, lenders or financial institutions either work with in-house underwriters or outsource their loan underwriting services to mortgage underwriting companies. Having an experienced mortgage underwriting company to handle your mortgage / loan underwriting process can not only give you speed and efficiency, but also cost-effectiveness and peace of mind.  With the changes in CFPB regulations and imposition of stricter norms, mortgage companies are exposed to greater challenges associated with increasing compliance costs, expensive non-compliance penalties and increase in loan demand. As a result, mortgage companies have started considering third-party vendors as their outsourcing partners for mortgage underwriting process. When you outsource mortgage underwriting for lenders, you not only gain access to the provider’s proficiency and knowledge of latest mortgage standards, but also acquaint yourself with the regulations, as and when they evolve. Pool of Skilled Resources : Mortgage companies and lenders, be it small or large, can benefit from the trained resources that are skilled to handle all kinds of business challenges, at the same time keeping the costs in check. Faster TAT : These third-party mortgage underwriting companies follow a tight loan underwriting process that streamlines operations, thereby improving efficiency and turnaround time by 30%. As a result, they are able to close more loans and keep up with the rising loan demand. Increased Opportunity to Expand Business : Outsourcing partners help support the back-office operations to give mortgage businesses and lenders the opportunity to focus on their core competencies and improve their customer relations. This helps in expanding your business thick and fast. Together, these benefits, will help your mortgage business overcome operational inadequacies and gain competitive advantage. As an expert mortgage underwriting company, we provide a well-rounded service portfolio that includes loan underwriting, mortgage closing, mortgage post-closing, loan title examination, mortgage appraisal, etc. We have a repository of advanced tools that allow us to deliver quality solutions to lenders within strict deadlines. As part of the underwriting process, our job is to perform mortgage loan analysis, evaluate applicant’s creditworthiness, assess their risk, conduct loan pricing commensurate with market rates and perform all the other underwriting-related activities too. Our underwriters review the borrower’s resources by evaluating their employment history, income, 401(k), checking/saving accounts, IRA, and debts/assets; in short, their capacity to repay the loan. A borrower’s credit is one of the key defining factors in loan approval process. Our underwriters will assess the credit score and identify payment patterns by reviewing the applicant’s credit history. Our underwriters are tasked with appraising the property that a buyer is planning to buy. This is done to assess the property’s worth with regards to loan requirement. We are a leading mortgage underwriting company and believe in giving our clients the freedom to focus on their principal business activities. All the services we offer are customized across the loan development with the help of global delivery workflows. As a loan fulfillment partner, all our services are structured to meet your unique business needs and goals. Our robust underwriting services have the ability to underwrite all kinds of loans, be it USDA or conventional residential mortgage loans. We have thorough understanding of the regulatory requirements that allow us to provide stellar services to our clients and help them achieve their business objectives. Our vast industry experience is put to efficient use in anticipating the industry’s evolving landscape and fine-tuning our services based on that knowledge. Our expert backend loan underwriting solutions have helped many clients achieve phenomenal success in this highly competitive and challenging mortgage business. A reputed mortgage underwriting company will give you complete quality assurance. We guarantee you quality because our mortgage underwriting process is marked by meticulous reviews, adherence to compliance requirements, and is guided by underwriting/closing guidelines. Prepare RESPA/TILA disclosures and pre-disclosures including fee sheets, GFE etc. Our mortgage processing experts handle detailed review tasks, as our QC specialist uses an exhaustive checklist to analyze the loan file with regards to pre-underwriter’s assumptions and assessments. We also scrutinize all applications to ensure that each of them comply with Fannie Mae and Freddie Mac guidelines along with industry standards. We are targeted towards achieving zero-defect quality in our mortgage process. Expert Mortgage Assistance offers unparalleled service standards and due diligence services that help all non-bank and bank originator clients. Our support services include handling origination and securitization operations by blending a dynamic underwriting team with a robust infrastructure, complete with industry expertise and latest compliance know-how. Looking for a reliable third-party mortgage underwriting company? Outsource your loan underwriting requirements to Expert Mortgage Assistance and make your process more efficient.